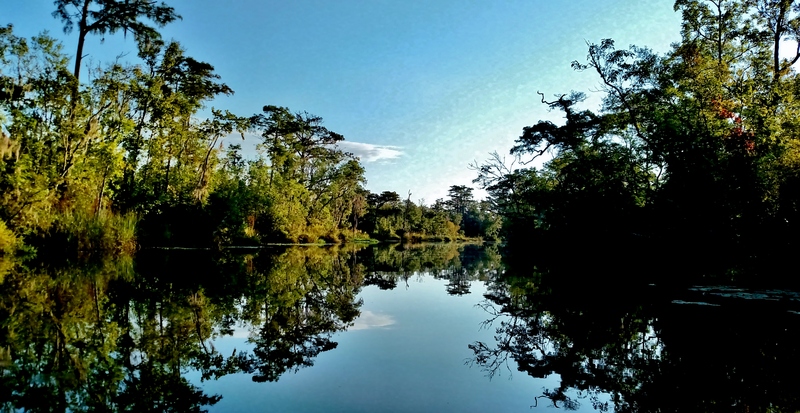 This entry was posted in Aesthetics, BEARSPAWPRINT, Florida, Our Earth, photography, Uncategorized, Weather and tagged BOGGY CREEK, Florida, nature photography, photogrpahy, Trees, waterscape. Yes, this is the Boggy Creek of legend, however the movie was not filmed here. So much the better for your peace … !!! It is peaceful, movie or not, so long as people stay out of the water. And I suppose it’s not because of pollution … !!! Blessed are simple because the gates of paradise are their large open … !!! God is saying forgive all, that is the question …? !!! A place to sink your troubles and leave them behind for gators and gulls. People have taught them that that is OK. Watch at the beach … they come quickly when people rattle food wrappers, and are usually rewarded. Alfred Hitchcock’s movie was a little TOO real. However on Boggy Creek, hough it is tidal at the point where I took the photo, I did not see any gulls. Hawks, herons, birds too quick to see clearly, other water birds, and woods dwellers, but no gulls. The gulls were probably in the parking lots of near by towns. I’ve never seen a gull in the woods. ???? Interesting that gulls don’t go in the woods. Maybe they need the horizon. Could be. I was thinkinf of their flight style, and they do sight fish. Can’t do that with foliage. Dunno for sure. I haven’t observed them enough to know the why of their habits, nor have I read up on it. Ha! There are plenty of tasty wading birds left uneaten. ???? But I’m sorta glad gulls are not everywhere. They make too much ruckus and I don’t like my for sandwiches to have bird spit on them. Actually I think there is just not enough for crowds of them to eat, the way that they eat, in the woods or in fresh water. And you are right … that is natural selection. The herons are more beautiful. So solemn and alone. I love the crisp reflection! The smooth stillness that allowed the refection is an illusion.